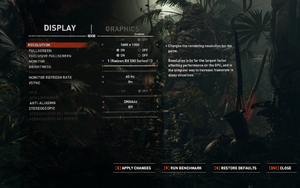 DirectX 12 is the recommended graphics API for the best performance. Support for Nvidia's Ray-Traced Shadows. Available by pre-ordering any edition of the game. 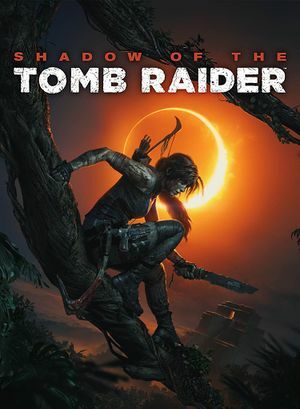 Included in Season Pass, Croft Edition and The Forge. 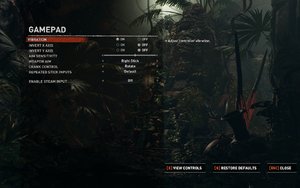 Included in Season Pass, Croft Edition and The Pillar. Included in the Croft edition. 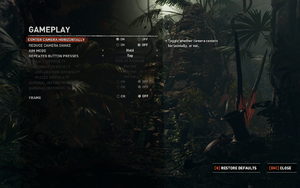 Included in the Digital Deluxe edition. Only supported on Windows 10 Fall Creators Update (1709) or higher. SMAA4x uses MSAA 4x, SMAA and TAA. You can only choose the stick for aiming. V2 tested. 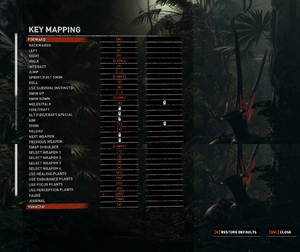 Bluetooth support was added in patch 2.
needs enter+escape+space keys mapped for Action Sets issues, opening Steam overlay when using camera movement mouse could broke Steam Input and needs restart the game and Steam tasks. Sometimes prompts won't appear or will be XInput prompts. Up to 7.1. 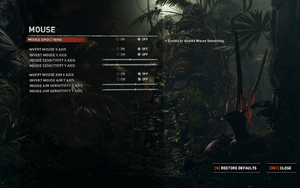 Also supports spatial sound, e.g., Dolby Atmos. White subtitles or colored subtitles by person. Separate option for deaf support. 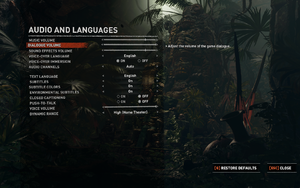 All languages have an option to turn on native voices for some characters to improve immersion. Only the Challenge Tombs of DLCs. 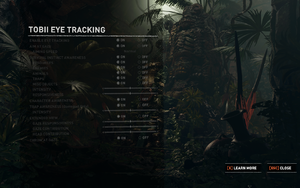 In-game Tobii eye tracking settings. Various audio issues may occur, like sound crackling or cutting out momentarily. ↑ 1.0 1.1 File/folder structure within this directory reflects the path(s) listed for Windows and/or Steam game data (use Wine regedit to access Windows registry paths). Games with Steam Cloud support may store data in ~/.steam/steam/userdata/<user-id>/750920/ in addition to or instead of this directory. The app ID (750920) may differ in some cases. Treat backslashes as forward slashes. See the glossary page for details. 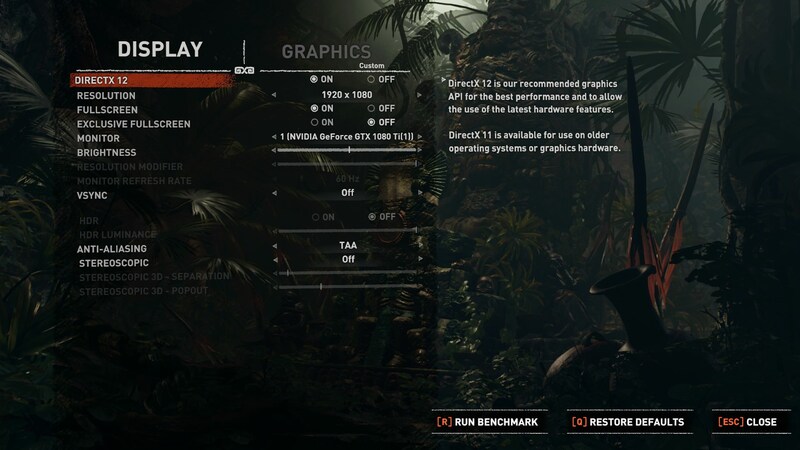 "DirectX 12 is our recommended graphics API for the best performance and to allow the use of the latest hardware features. 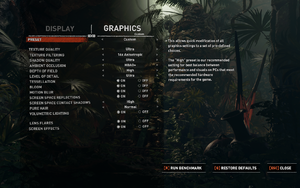 DirectX 11 is available for use on older operating systems or graphics hardware." ↑ Xbox one Trigger Rumble supported in the game!